Choose branded watches with ease Watches have now become the most important part of every man’s collection of accessories. With changing time, the timepieces too have evolved as trendy and stylish accessories that are now a must in every man’s wardrobe. Be it a formal occasion or a casual one, these watches add up to the overall look of the stylish and fashion forward men. One can now find several unique and stylish collections of watches for men online. Shoppers Stop brings to you a wide range of mens watch collections from the best of the brands. This is one of that unique websites, which offers men with a wide array of watches like never before. One can find all kinds of watches from the funky ones to the contemporary ones on our online store. 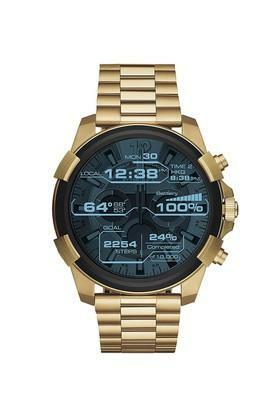 Men can now find watches from well-known brands like Casio, Police, Fcuk, Guess, Fossil, Diesel, Titan and many more. 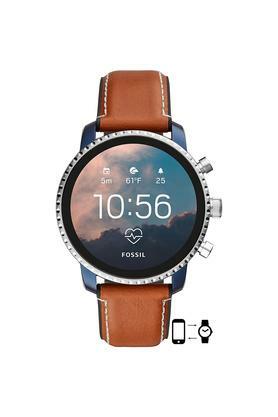 When men shop for these watches online, they can opt for the door delivery where the watch they booked is delivered right to their door step. The timepieces from well-known brands like Titan and Casio are known for their contemporary fashion and these are classy and also subtle. There are watches that are simple and are reasonability priced too. Such watches are ideal for regular and everyday wear. The watches from Titan are available in amazing prices and leather bands. These watches are simple and neat for any formal or informal wear. The watches available online on shoppersstop.com, are sophisticated watches that are just apt for any formal occasion. They would give you the perfect look for your wrist. They are priced reasonably and are available in somber colour combinations. On the other hand, Guess and other branded watches are very pleasant for your pocket and wrist as well. They are the traditional watches with a contemporary touch and just perfect for your desirable visit. The men’s collection is adorned by stylish, classy as well as contemporary designs. With colours predominantly black, white, grey and blue, you will also get gold steel, silver steel, gold mesh and silver mesh band collection. If you need a durable watch with a tough look, just browse through and you will get a few. Leather bands are also available. The branded collection on the other hand is also unique, fashionable, and elegant with the touch of fashion as well. 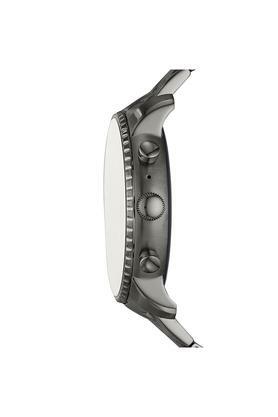 Men can choose the watches that have leather bands and steel bands. Some of these are also available in gold, rose gold and sterling silver collections too. So, with such designs one can for sure wear their fashion on the wrist as per their own choice. One can also find amazing offers online at unbeatable prices. 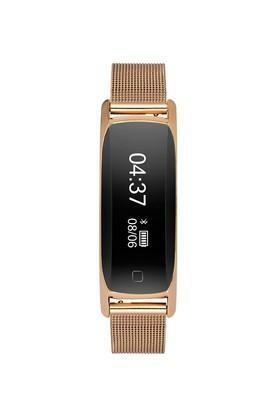 Most of these watches come with the manufacturer’s warranty of 1 to 5 years. So, the next time you need a unique time piece, you certainly know where to look out for!Choose branded watches with ease Watches have now become the most important part of every man’s collection of accessories. With changing time, the timepieces too have evolved as trendy and stylish accessories that are now a must in every man’s wardrobe. Be it a formal occasion or a casual one, these watches add up to the overall look of the stylish and fashion forward men. 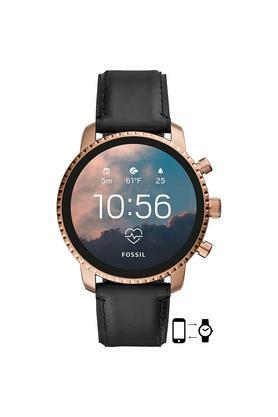 One can now find several unique and stylish collections of watches for men online. Shoppers Stop brings to you a wide range of mens watch collections from the best of the brands. This is one of that unique websites, which offers men with a wide array of watches like never before. One can find all kinds of watches from the funky ones to the contemporary ones on our online store. Men can now find watches from well-known brands like Casio, Police, Fcuk, Guess, Fossil, Diesel, Titan and many more. 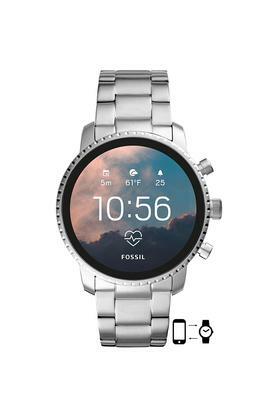 When men shop for these watches online, they can opt for the door delivery where the watch they booked is delivered right to their door step. The timepieces from well-known brands like Titan and Casio are known for their contemporary fashion and these are classy and also subtle. There are watches that are simple and are reasonability priced too. Such watches are ideal for regular and everyday wear. The watches from Titan are available in amazing prices and leather bands. These watches are simple and neat for any formal or informal wear. The watches available online on shoppersstop.com, are sophisticated watches that are just apt for any formal occasion. They would give you the perfect look for your wrist. They are priced reasonably and are available in somber colour combinations. On the other hand, Guess and other branded watches are very pleasant for your pocket and wrist as well. They are the traditional watches with a contemporary touch and just perfect for your desirable visit. The men’s collection is adorned by stylish, classy as well as contemporary designs. With colours predominantly black, white, grey and blue, you will also get gold steel, silver steel, gold mesh and silver mesh band collection. If you need a durable watch with a tough look, just browse through and you will get a few. Leather bands are also available. The branded collection on the other hand is also unique, fashionable, and elegant with the touch of fashion as well. 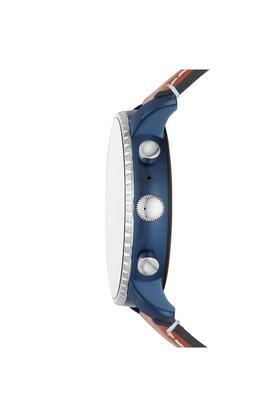 Men can choose the watches that have leather bands and steel bands. Some of these are also available in gold, rose gold and sterling silver collections too. So, with such designs one can for sure wear their fashion on the wrist as per their own choice. One can also find amazing offers online at unbeatable prices. 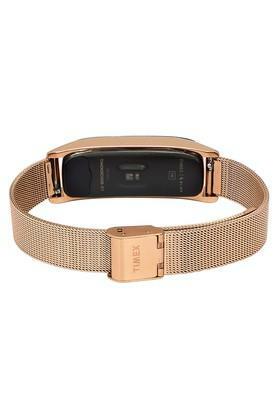 Most of these watches come with the manufacturer’s warranty of 1 to 5 years. So, the next time you need a unique time piece, you certainly know where to look out for! Watches have now become the most important part of every man’s collection of accessories. With changing time, the timepieces too have evolved as trendy and stylish accessories that are now a must in every man’s wardrobe. Be it a formal occasion or a casual one, these watches add up to the overall look of the stylish and fashion forward men. One can now find several unique and stylish collections of watches for men online. Shoppers Stop brings to you a wide range of mens watch collections from the best of the brands. This is one of that unique websites, which offers men with a wide array of watches like never before. One can find all kinds of watches from the funky ones to the contemporary ones on our online store. 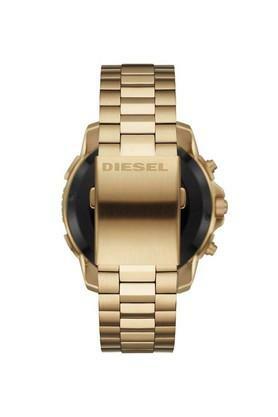 Men can now find watches from well-known brands like Casio, Police, Fcuk, Guess, Fossil, Diesel, Titan and many more. When men shop for these watches online, they can opt for the door delivery where the watch they booked is delivered right to their door step. The timepieces from well-known brands like Titan and Casio are known for their contemporary fashion and these are classy and also subtle. There are watches that are simple and are reasonability priced too. Such watches are ideal for regular and everyday wear. 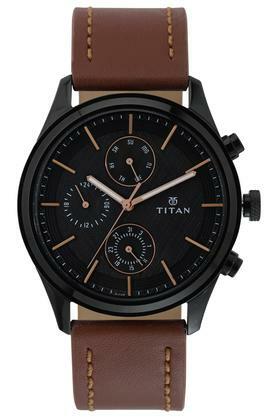 The watches from Titan are available in amazing prices and leather bands. These watches are simple and neat for any formal or informal wear. 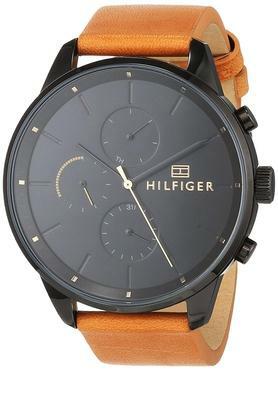 The watches available online on shoppersstop.com, are sophisticated watches that are just apt for any formal occasion. They would give you the perfect look for your wrist. They are priced reasonably and are available in somber colour combinations. On the other hand, Guess and other branded watches are very pleasant for your pocket and wrist as well. They are the traditional watches with a contemporary touch and just perfect for your desirable visit. The men’s collection is adorned by stylish, classy as well as contemporary designs. With colours predominantly black, white, grey and blue, you will also get gold steel, silver steel, gold mesh and silver mesh band collection. If you need a durable watch with a tough look, just browse through and you will get a few. Leather bands are also available. The branded collection on the other hand is also unique, fashionable, and elegant with the touch of fashion as well. Men can choose the watches that have leather bands and steel bands. Some of these are also available in gold, rose gold and sterling silver collections too. So, with such designs one can for sure wear their fashion on the wrist as per their own choice. One can also find amazing offers online at unbeatable prices. 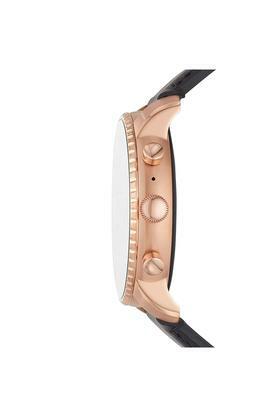 Most of these watches come with the manufacturer’s warranty of 1 to 5 years. So, the next time you need a unique time piece, you certainly know where to look out for!